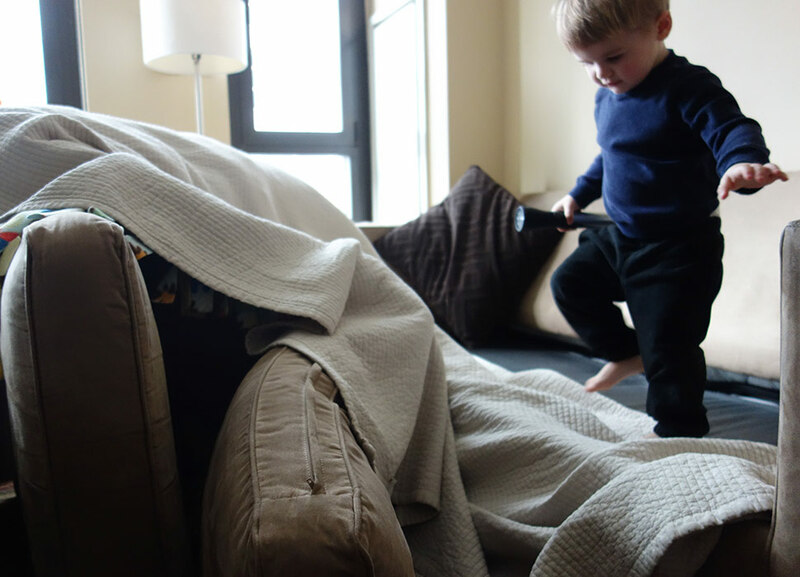 Sometimes on a cold winter day, it’s best to just hunker down in a sofa-cushion fort. This entry was tagged book, flashlight. Bookmark the permalink. How fun and how cozy for Henry! And I know it must be cold in NYC since it’s been so cold, rainy and damp even here in Houston. I don’t have a neat fort, but I’ve been hunkering down, too, on my sofa recliner with my audio books and the electric fireplace going all day, only getting up to stir the pot of chicken soup. Y’all stay warm at Fort Henry! This brings back so many memories. 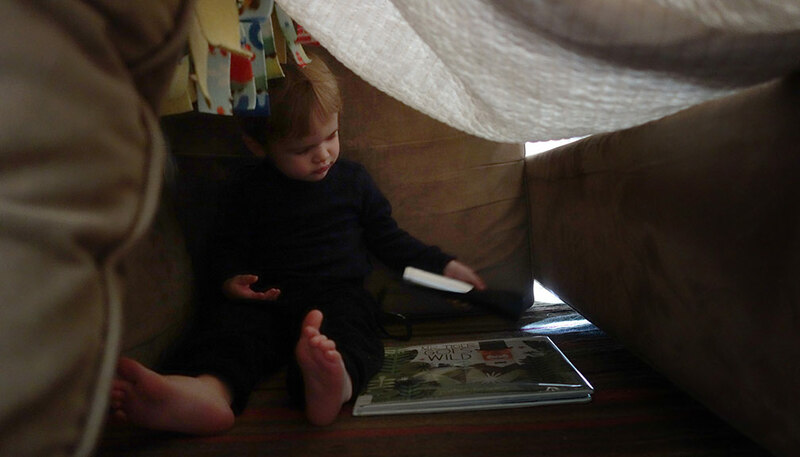 Mimi and I spent most of our time in a fort. We were groundhogs under a highway. This will help him become more and more creative. Thanks for not getting him an x-box!!!! !